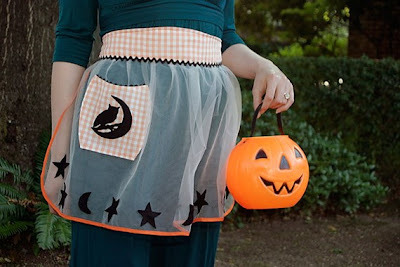 To fill the air with some spooky cheer. 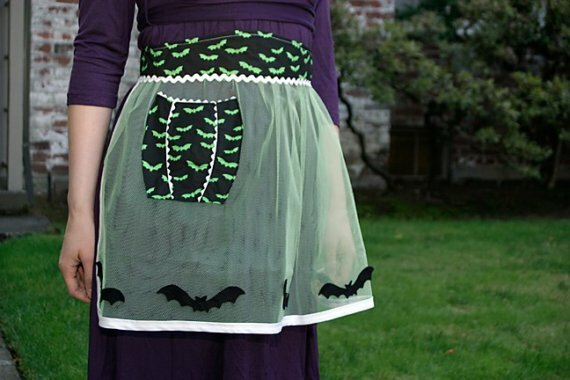 Etsy is filled with halloween goodies from all around. 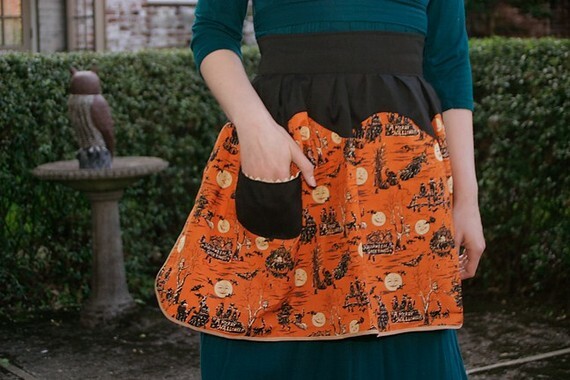 Today's spotlight is Flappergirl's hostess aprons. Cute and creepy, She snickers.